We know it’s tough but don’t get caught up in pumpkin carving, apple picking, and colorful fall hikes. Take responsibility and make sure your home is ready for the cold months rapidly approaching. 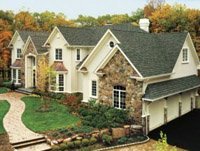 Our Balken Roofing team has prepared a checklist to do before Old Man Winter comes knocking on your door. You’ll want to make sure your home and business structures are ready for winter with this fall maintenance checklist because there is nothing worse than getting the first snowfall of the season and your not prepared. Insulate water pipes in areas exposed to cold temperatures and remember to crank up the thermostat a bit during extra cold periods. Have your chimney cleaned and maintained every year by a reputable professional. Build up can lead to a chimney fire. If you have fires regularly, your chimney should be inspected once a year. *Schedule a yearly visit to avoid a long wait during the busy season. Have your furnace cleaned and inspected by a qualified technician. This should be done annually. Don’t forget to clean or replace the filter! Clean the clothes dryer exhaust duct and space under the dryer. Remove all lint, dust, and any other material. Every year, there are many deaths, injuries, and property loss due to dryer fires. Keep a fire extinguisher accessible. Make sure it is filled and ready for operation. Check smoke detectors. Make sure there is one on each floor of your home. Change the battery annually or when necessary. Be sure to check off your fall maintenance checklist. If you need assistance with your roof or gutters call our Balken Roofing team today, 828-628-0390 Asheville or 843-352-2349 Charleston for your free no-obligation estimate. We will set up a time for a Balken team member to meet with you and assess your roofing needs. If your roof is leaking, it should be repaired as soon as possible. The consistent presence of moisture in your home due to water intrusion can cause rotted wood, mold, and far more expensive interior home repairs. Let’s make a smart decision and get this taken care of before the April showers. We have a long history of diagnosing leaky roofs and assessing the damage the leak has caused. 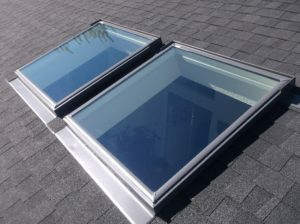 We pride ourselves on giving an honest evaluation of your leaky roof or any other roofing issues including gutters, skylights, sun tunnels, and more. If the life of your roof is beyond repairing and you don’t have a new roof budgeted, let’s simply sit down and talk about the different financing options our Balken team has available. Call our Balken repair team today, 828-628-0390 to evaluate and fix your leaky roof before the April showers or fill out an estimate request form. 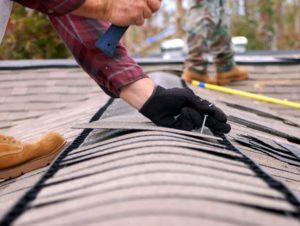 Consumers in Asheville and Western North Carolina, take advantage of these useful tips because lack of winter roofing preparation to your home can cause tremendous damage and costly home repairs.